BOYS FOOTBALL TEAM CROWNED AREA CHAMPIONS!!! 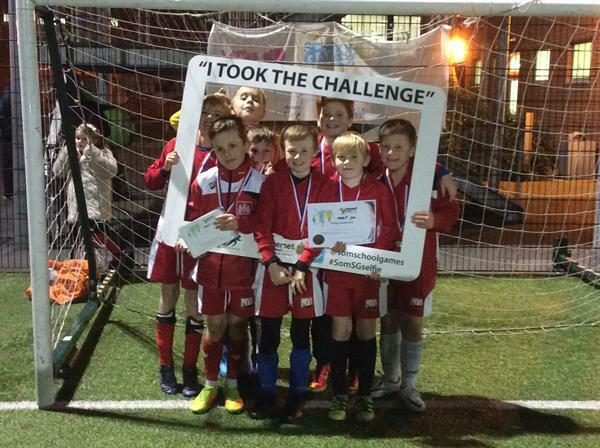 A huge well done to our boys football team who were crowned area champions last night after fending off opposition from Eastover, Hamp, Wembdon and Somerset bridge. The boys remained unbeaten, winning three games and drawing just the one without conceding a single goal! A magnificent achievement and even more impressive as the schools they competed against are at least twice the size of ours! The team, which was made up of mainly Year 5 boys with a couple of Year 4's will have at least another year in this age group. Next stop....County Finals in January - Well done boys!